The Woodlands, Texas – In May 2016, The Cynthia Woods Mitchell Pavilion Board of Directors unanimously approved a major construction plan that will touch nearly every part of the venue. The projects include a newly constructed VIP Club and operations building, new canopies at the concessions and entrance gates as well as a refresh to the dressing rooms. The new VIP club will replace the original structure and boast two floors of expansive seating, a catering kitchen and an outdoor patio overlooking the North Plaza. Additionally, the new operations building will provide more office and storage space for Pavilion staff. 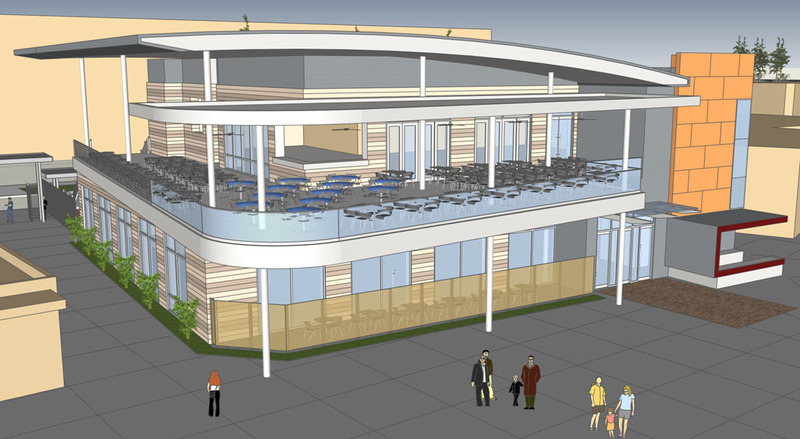 Fresh and modern canopies will become the face of The Pavilion as guests enter the venue. “Whenever we have the opportunity to take our venue to the next level we are able to grab the attention of popular artists,” added Jerry MacDonald CEO and president of The Pavilion. “When we sell out shows, our true Mission of providing performing arts and educational outreach programs truly benefits. Construction will begin in late October and is planned to be completed over the next 9 months. The construction team is under the leadership of Fred Grona, senior vice president of Mission Constructors and Jeff Gerber, chief executive officer of PGAL Architects. Grona has been involved with every construction project at the venue since 1994. Due to the planned construction, this year’s Holly Jolly Jingle holiday performance will be cancelled. Most of the projects will be completed in time for the start of the 2017 concert season. If you would like more information about The Pavilion, please visit ww.woodlandscenter.org or look for The Pavilion on Facebook, Twitter, YouTube, Instagram, Pinterest, Google+ and Blogger. Or download The Pavilion’s iOS or Android app.